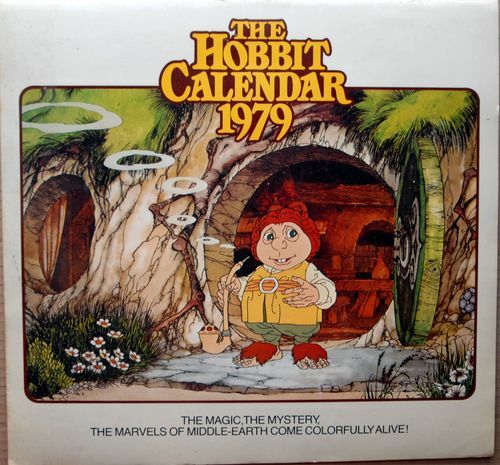 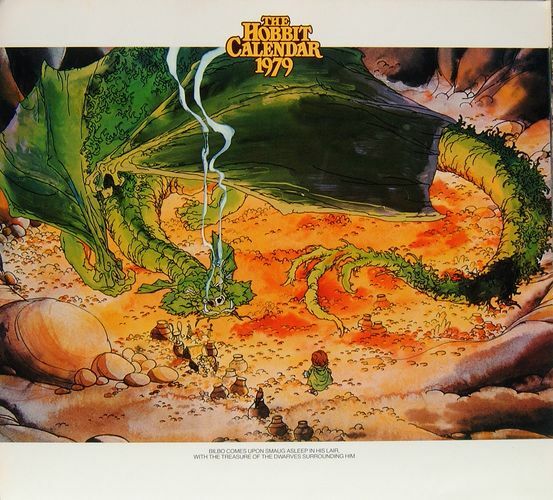 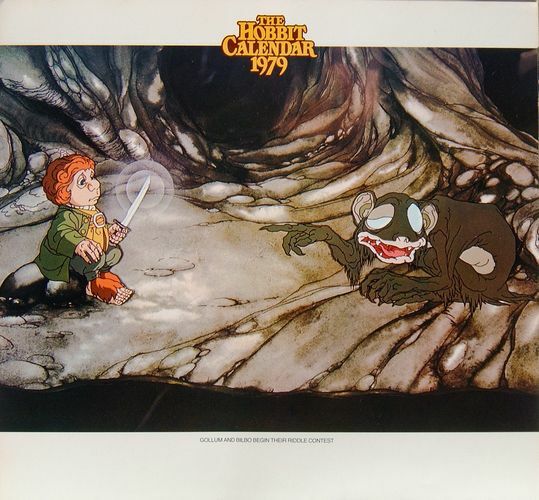 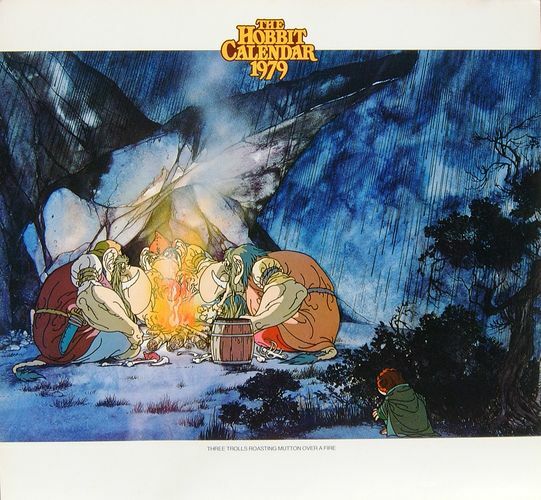 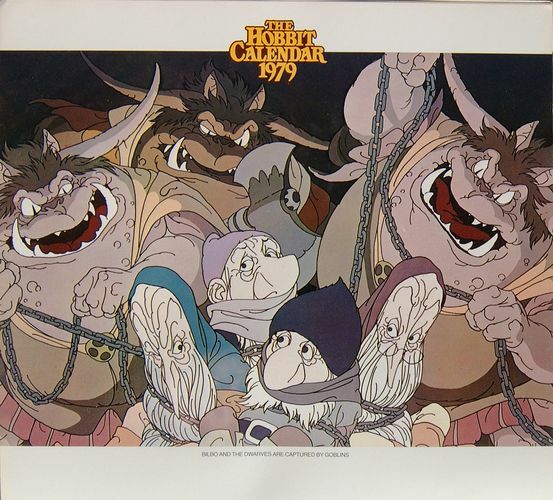 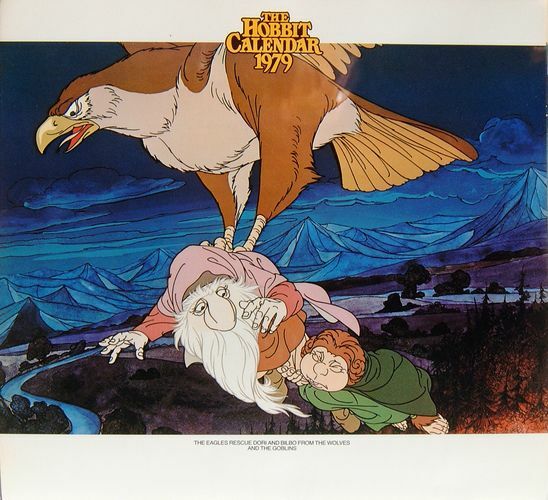 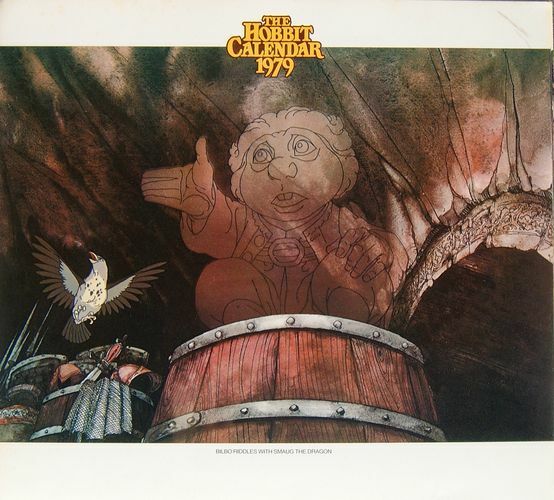 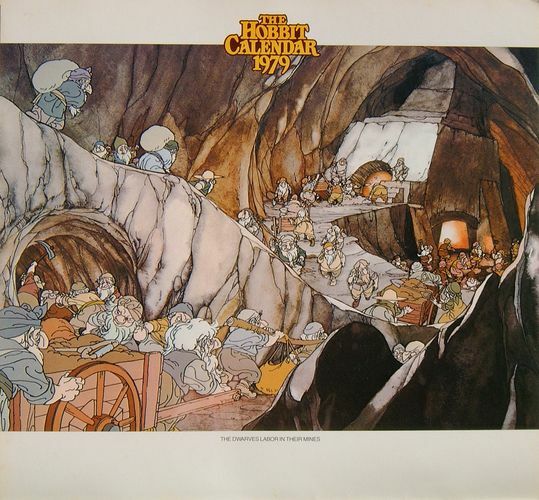 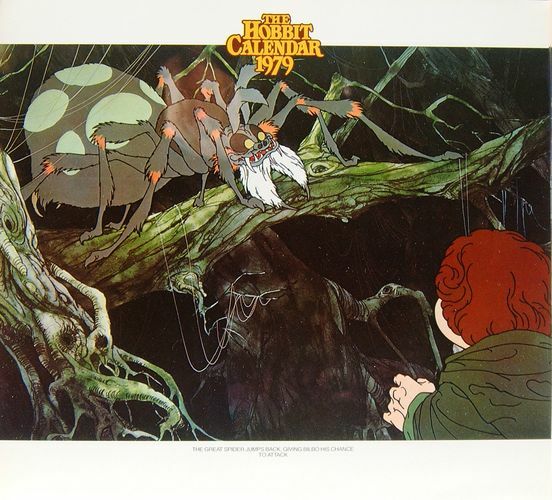 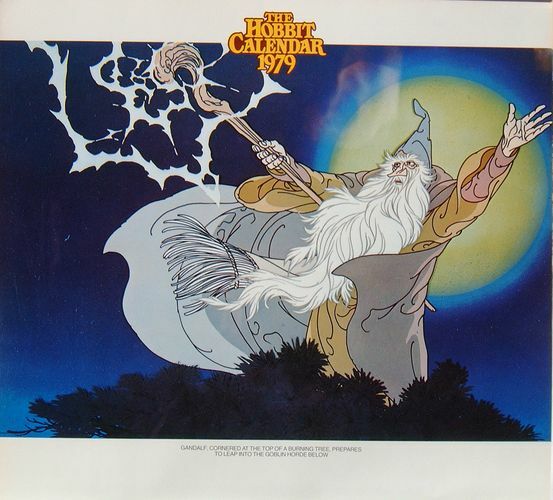 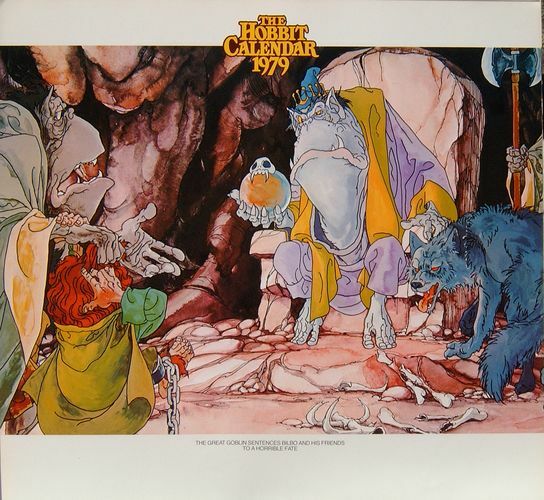 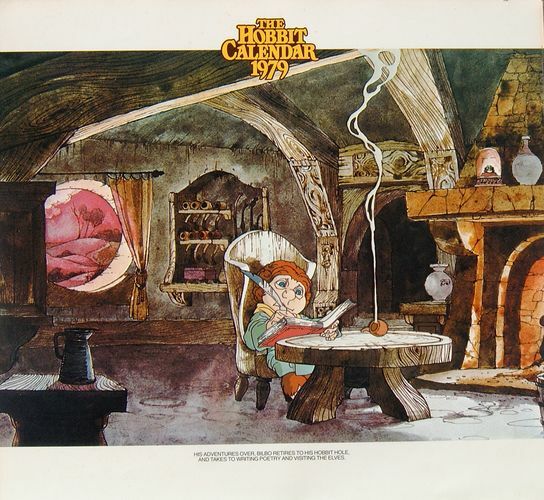 "The Hobbit Calendar 1979" Illustrations from the Arthur Rankin Jr. and Jules Bass animated movie. 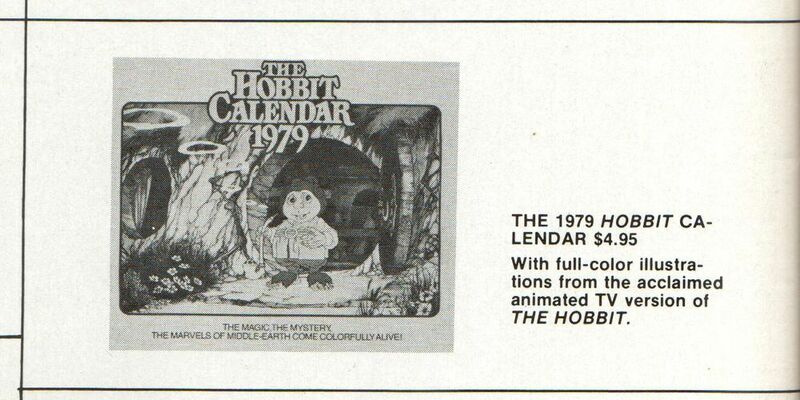 "The calendar that is not supposed to exist." 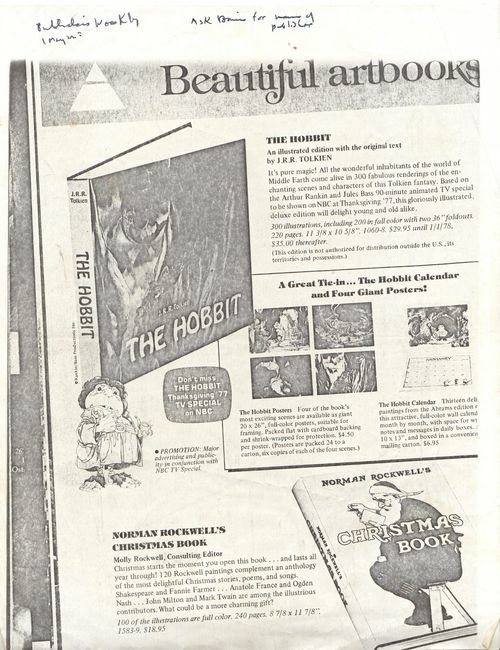 I have magazine advertisements (see below) announcing its publication date and then showing it had been cancelled. 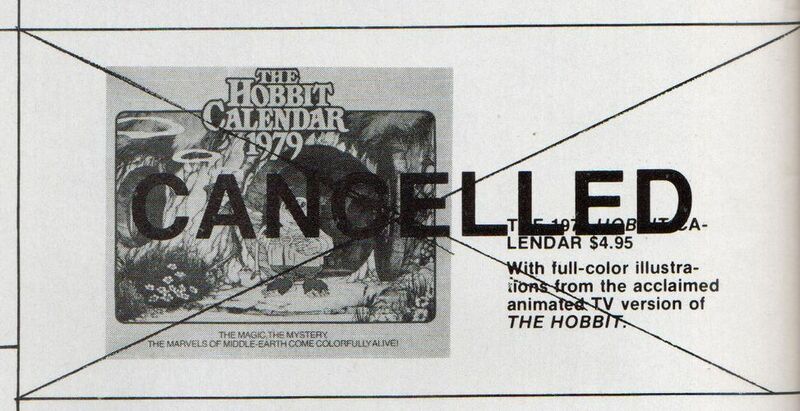 Obviously, the cancellation notice is incorrect. 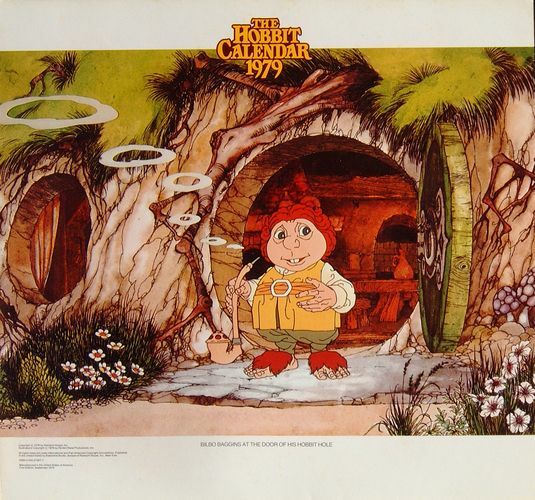 Thanks to the compilation of Tolkien publications by Nancy Martsch et al which included Tolkien calendars (which she very graciously provided a copy of), I was aware of its possible existence long before a copy of it ever appeared.